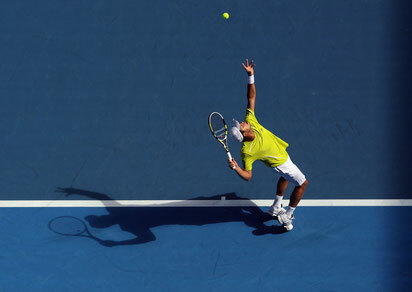 Improve your game and understand the fundamentals of tennis with our online tennis tips. In this section you can find various articles related to tennis that can help any player to improve his/ her game. If there is anything in particular that interests you and you would like to hear our opinion on it, do not hesitate and send us a message or email us and we will answer you directly and/or we might elaborate on it in our next blog post. 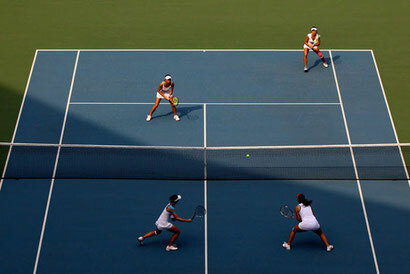 When and how often to practice with better tennis players? 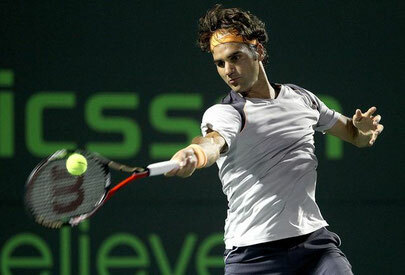 Recently, I have read an online article about how a tennis player can improve his game. One of the recommendations was to practise with stronger players. Well, it is true that practising with stronger opponents will motivate you to keep up and play better and will probably raise your playing level, but the question is how often do you want to do that? Is it good to play with only better players and how much better the players need to be? 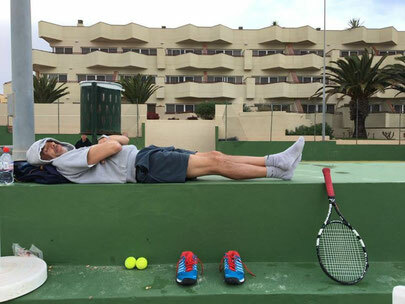 Have a look at what our head coach Peter thinks are the 3 most essential tennis tips for all beginner and intermediate players. The net game is more or less gone and forgotten on the singles professional circuit. The baseline game became so fast that it is very difficult to approach the net and win points with the good old fashioned “chip’n’charge”. In doubles the net game is still a must and hand in hand with ruling the net come passing shots. How to hit them, where to hit them and when is the main theme of this article. 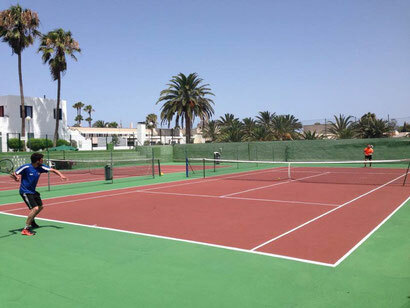 During our tennis lessons we see many clients really confused about what serve is right to do and when. Flat, kick or slice? 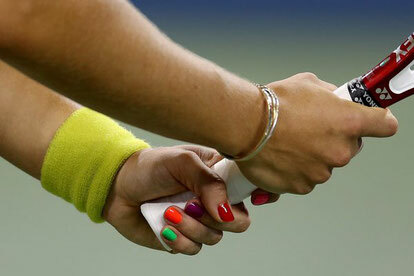 For the clarity of this article we assume that the serving player is right handed. 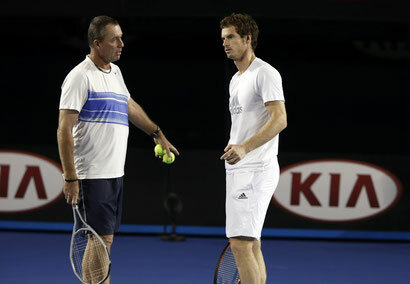 Good tennis coach or bad tennis coach? There are two types of tennis coaches: type 1 - for professional players or for aspiring professionals (for the junior competition players) and type 2 - for recreational players. They differ from each other based on what they teach and how they teach. If you are a professional player then a recreational coach will very hardly teach you anything, same thing goes the other way around. This is because they concentrate and specialize on different areas of the game. Here are some factors to consider when choosing the right tennis coach for you. 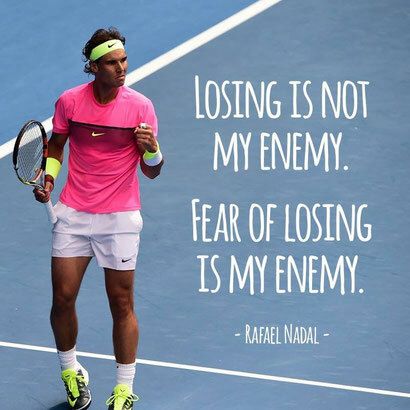 We all know those days, when we are “on fire” – I play better than any other day, everything I touch goes in and the tennis courts seems as big as a football field. The next day I walk in onto the court with high expectations from the previous day and I find out that my level is not the same and actually with every point I play worse and worse. How is such a swing in playing level possible? How is it possible that one day I feel like Roger Federer and the next like my neighbor’s wife? When considering buying a racket you should consider the following attributes – how good of a tennis player you are, the balance of the racket, weight, head size, length, material, stringing pattern and grip. 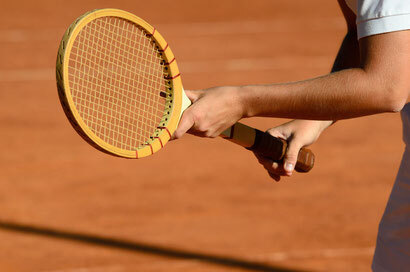 We will deal with all these to help you better understand what tennis racket to buy and why. Backhand slice can be considered an advanced weapon loved and widely used especially by the older generation of tennis players. Even though slice is not as widely used as probably 15 - 20 years ago (remember Stefi Graf), but is still a necessary tool of a complete tennis player. And even though that many recreational players are using it daily in their game, I very rarely meet a player with good form and proper execution of this stroke. 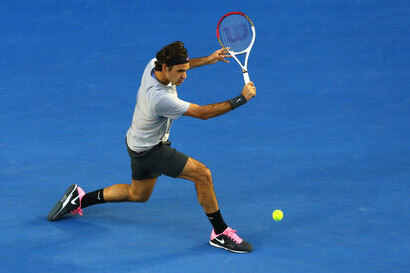 Many improving tennis players get confused regarding the open vs closed stance position. You see on TV that the pro’s play almost exclusively all their forehands from an open stance position and then you get to your training session and your coach tells you to play everything from a closed stance. Why doesn’t he teach you the same stuff professionals do? 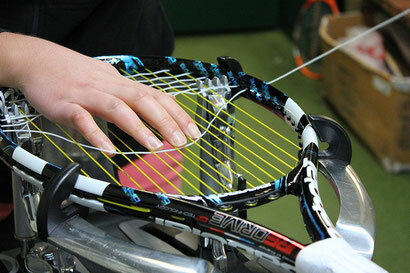 Hybrid stringing is a method of using different tennis strings for the main and for the cross strings on a tennis racket. This means that strings of different thickness or different material are used. The grandfather of the hybrid stringing method is considered to be Roger Federer who started using it a decade ago and made it popular. There are two types of hybrid stringing – the classical method and the reverse hybrid method. Western, eastern, continental, handshake or the hammer grip? What is the right way of holding a tennis racket? If your answer is none of the above than you are probably right. The western, eastern and continental way of holding a racket are just orientation points. 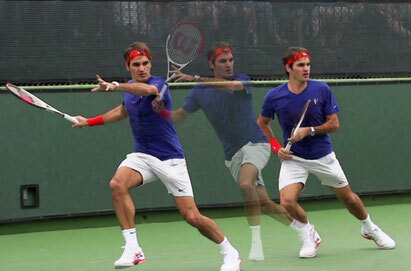 In reality every tennis player adjusts the way he holds the tennis racket to his way of playing and what feels natural to him.